Posted by Trixie. January 16th 2015. The Egyptian Mau is known as being one of the rarest cats in the world due to the many unique physical attributes it possesses. 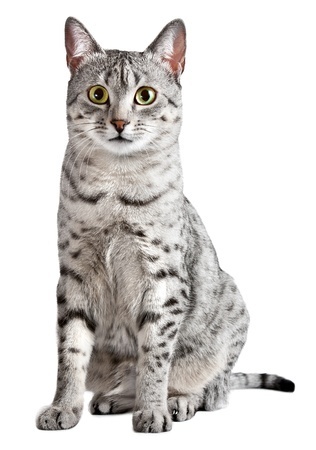 The Egyptian Mau has unique markings and an unusual physique. There are also very few registered each year with breeding organisations – giving it the stamp of one of the rarer cat breeds on the circuit. All felines are special creatures but few can claim to be the creation of a princess. It’s said the Egyptian Mau was the brain child of exiled Russian Princess, Natalie Trubetskaya, who first encountered the cat during her time with the Egyptian Ambassador in Italy. Legend has it that she convinced him to purchase several Egyptian cats for her so that she could begin breeding them and thus the Mau was developed. In fact, the name of this stunning cat comes from the Middle Egyptian word ‘mw’ which translates as ‘cat’. Egyptian Mau kittens and cats are unusual in the domesticated cat world as they are one of the only breeds, along with the Bahrain Dilmun, to be naturally spotted. Small to medium in size, they are often described as possessing the elegance of a Siamese and the compactness of a Burmese. 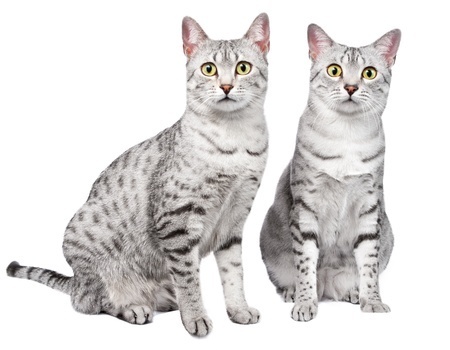 One noticeable feature of an Egyptian Mau is how its hind legs are longer than its front legs which give it an appearance of walking on its tiptoes. It also has an extra flap of skin on its belly which enables it to take longer strides than other cats when it runs. This feature enables it to walk and run at a high speed – some Maus have been recorded as running at 30 miles an hour! This beautiful cat proudly bears either a Scarab Beetle or M marking on its forehead. It sports a dark line all the way down the fur of its spine and comes in five colours: silver, bronze, smoke, black and blue-pewter. The Egyptian Mau is very loyal and amicable with a musical voice that comes out in an array of pleasant and unusual sounds for a cat. There’s no need to be alarmed if this cat appears to be marking its territory with a wiggle of its tail. Both males and females display this behaviour but it is nothing more than a happy little cat dance – and no urine is released. They do tend be curious, so a watchful eye when they’re exploring may be a good idea. Maus have a preference for warm temperatures; they are known for being a little more sensitive to the heat and cold than most felines. They can be very athletic when necessary owing to their physique but are equally as happy being lap cats. These cats are not heavy shedders and can be cared for with a weekly brush, ear and nail cleaning. They tend to take care of themselves like all cats so minimal grooming by the owner will be necessary. 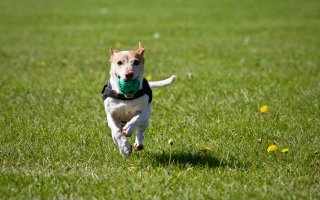 It is also worth noting that they are abnormally sensitive to anaesthetics, pesticides and vaccines – a vet can advise further.